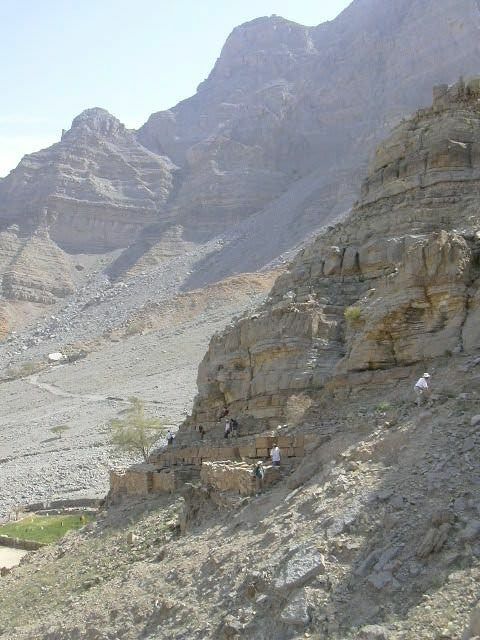 On the weekend of March 17-19 2004, the Al Ain chapter of the ENHG travelled to Ras al Khaimah for a weekend of touring some of the more spectacular sites in the Emirates. 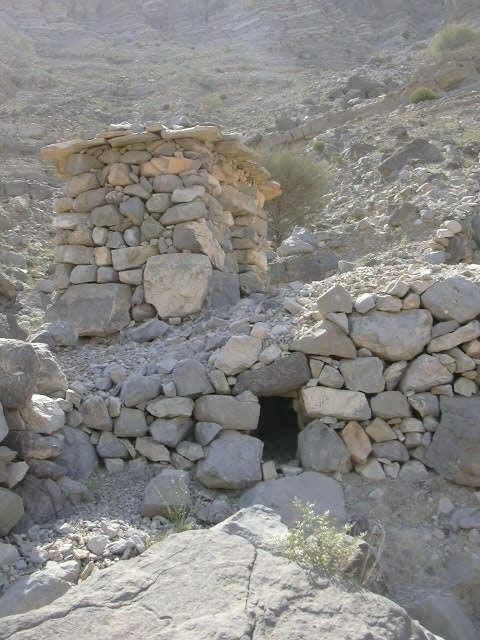 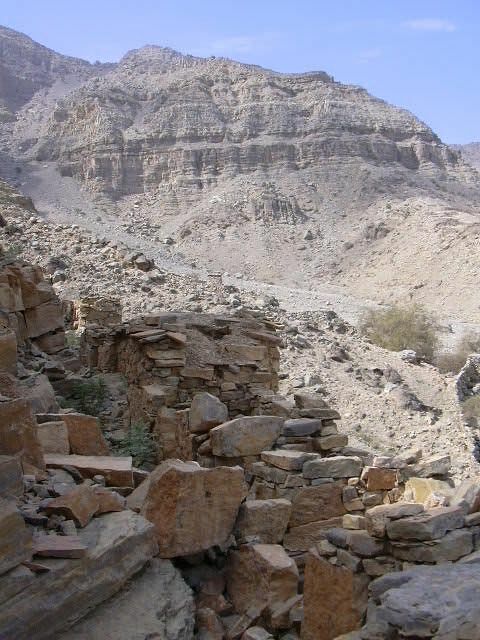 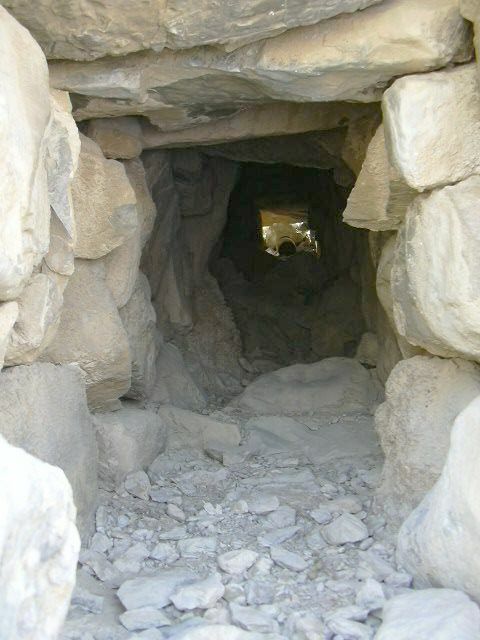 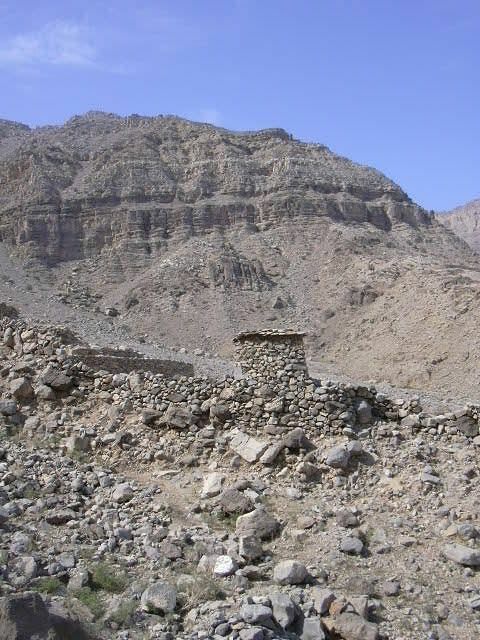 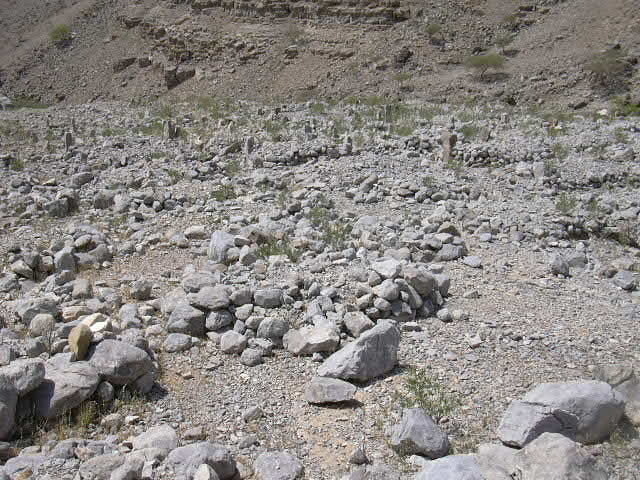 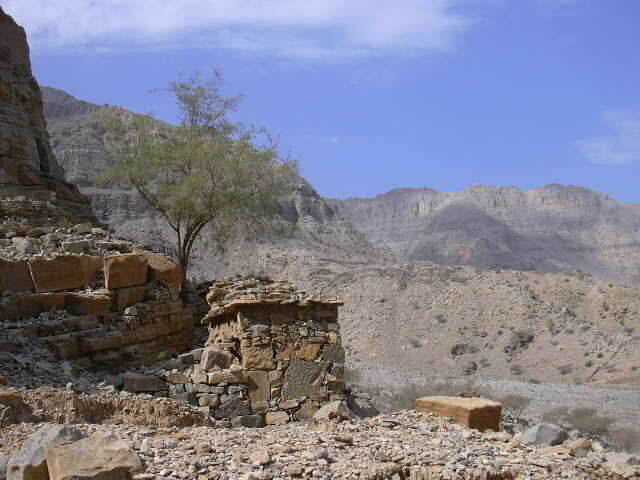 The yanz of Wadi Sha'am, a collection of 52 storage buildings perched on a narrow mountain ledge overlooking the wadi bed, were unknown to non-locals until a few decades ago when a visiting archaeologist stumbled on the site. 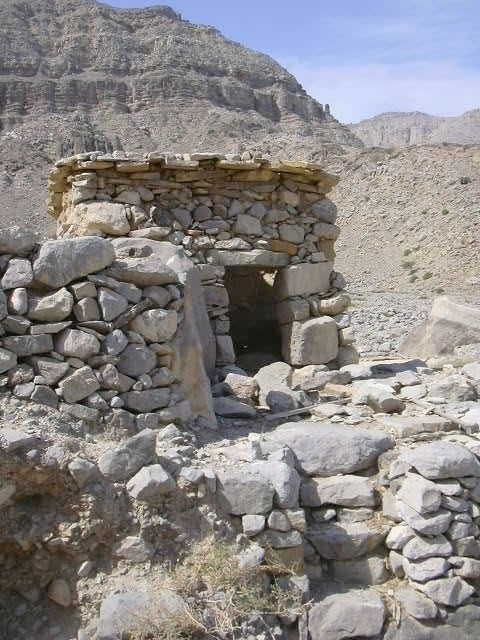 The structures, used by farmers to store grain and fodder, are easily missed at Wadi Sha'am as they blend in so well with the mountainside. 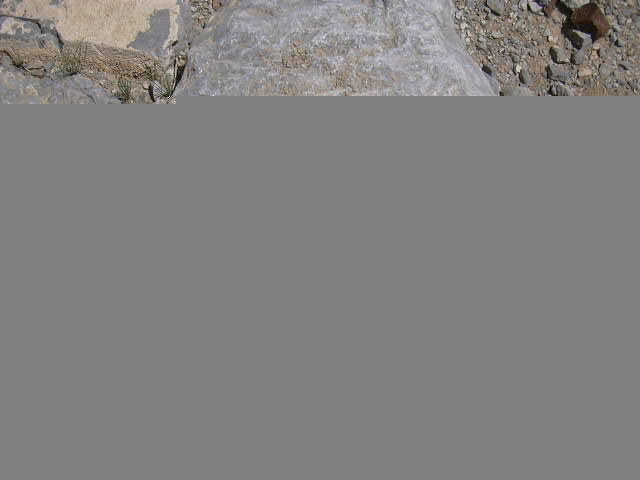 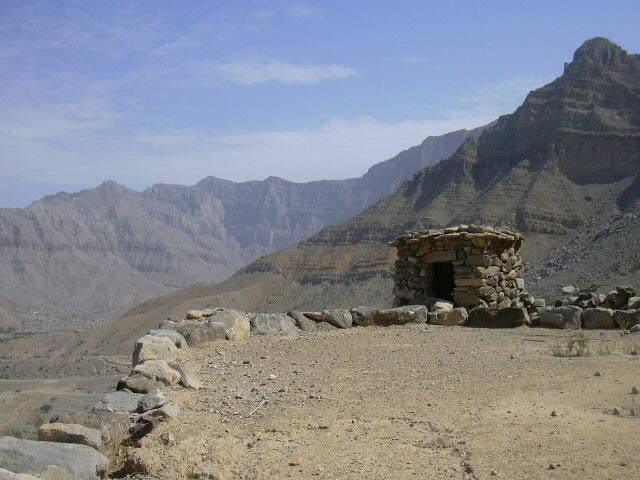 Yanz are common in communities in the mountains of the Musandam; visitors will recognize them in many of the remote mountain communities. 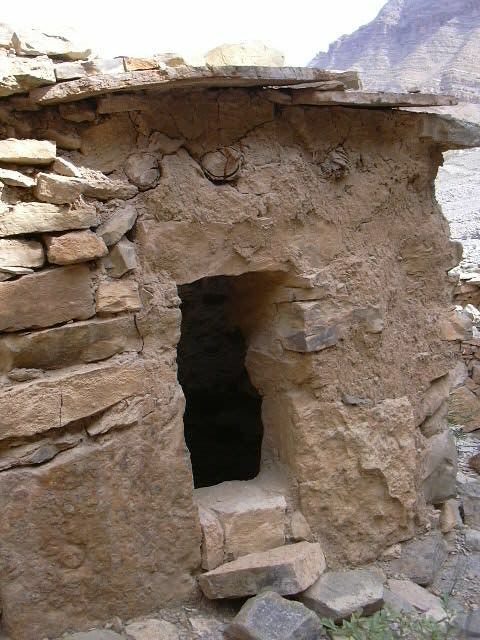 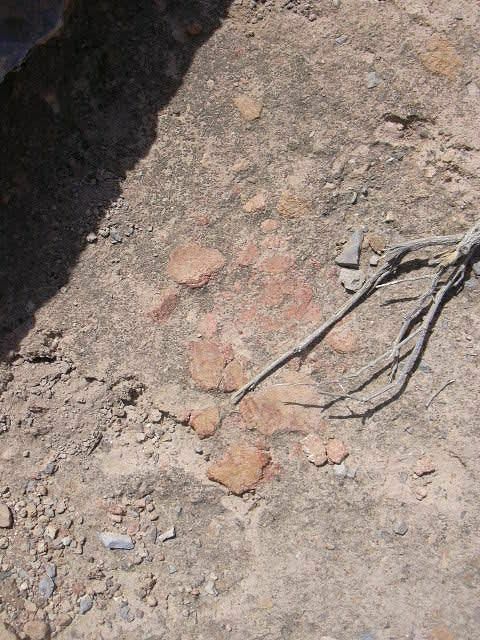 Each yanz is built of stone, with little or no mud mortar between the stones. 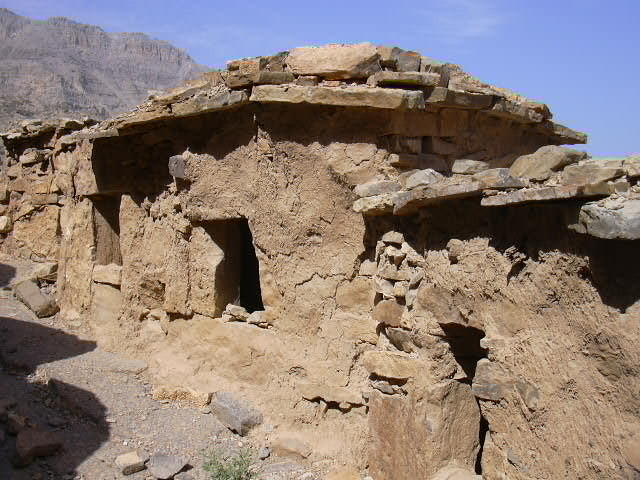 However, the exterior and interior of each is plastered in fine mud. 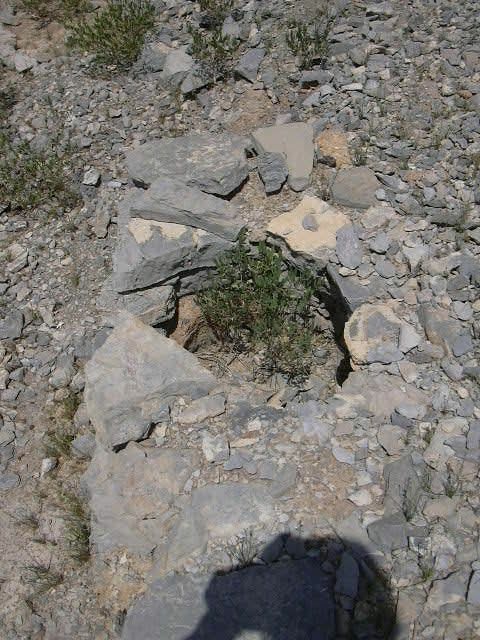 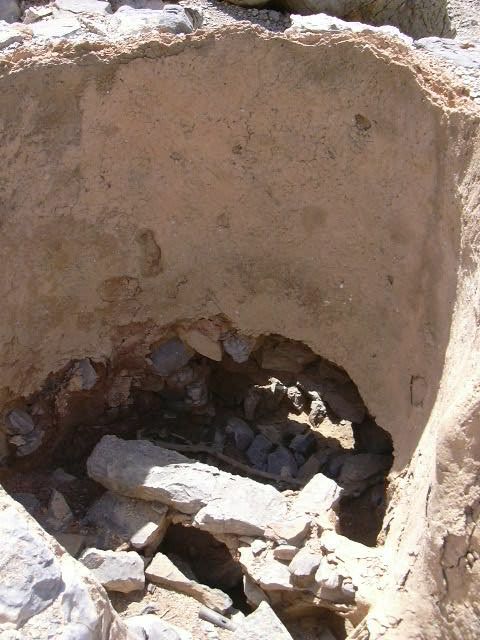 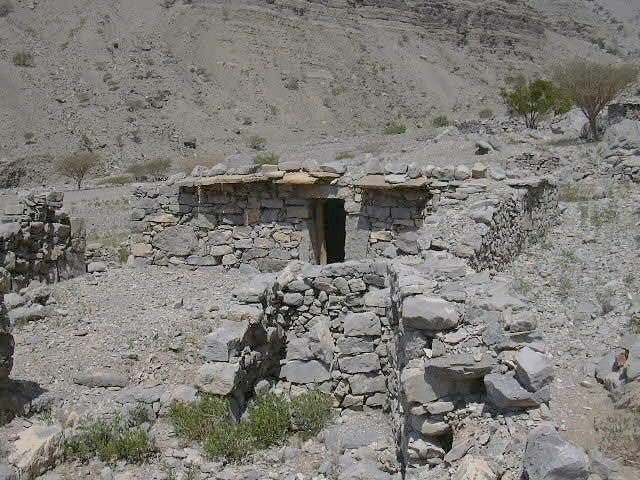 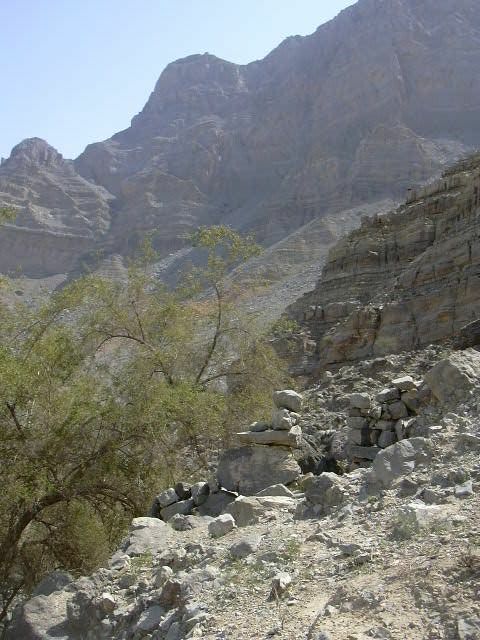 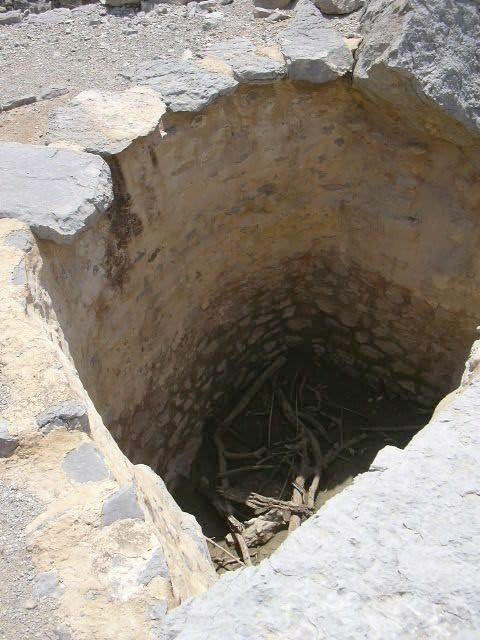 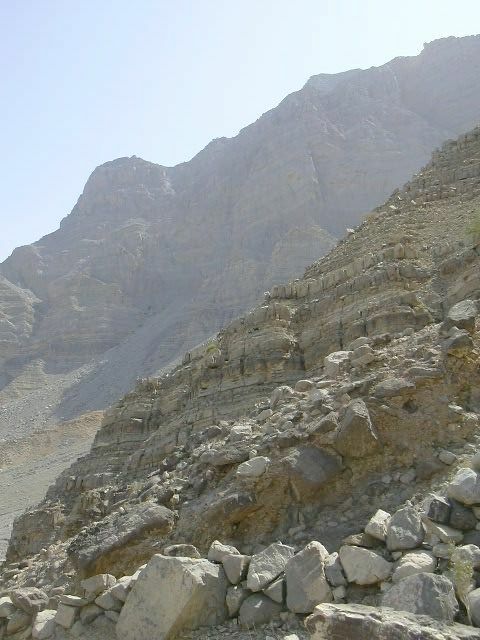 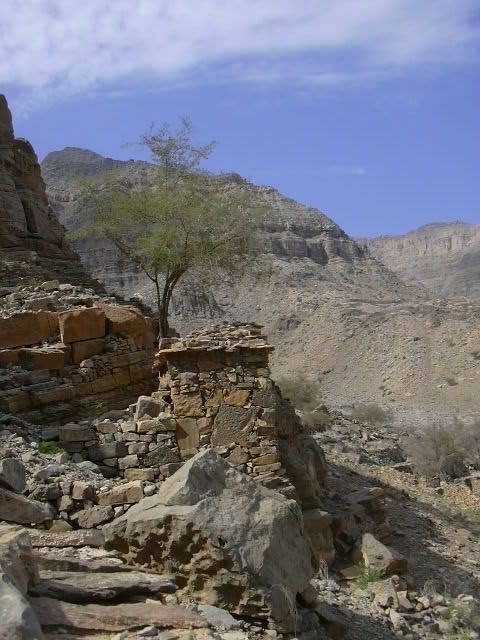 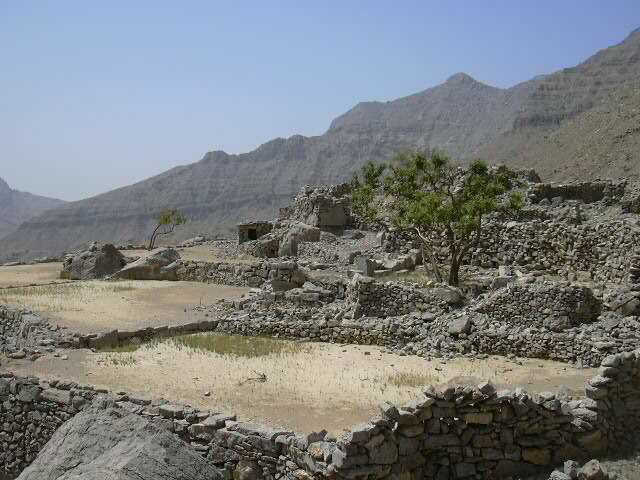 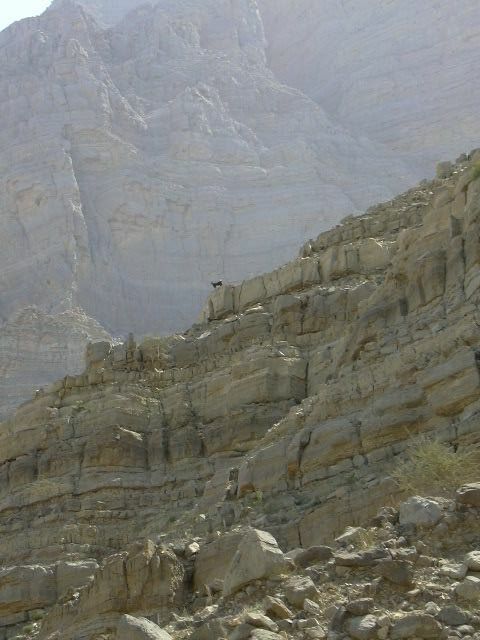 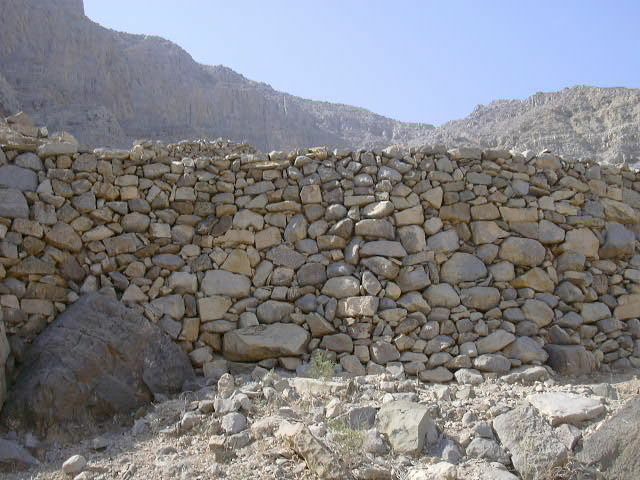 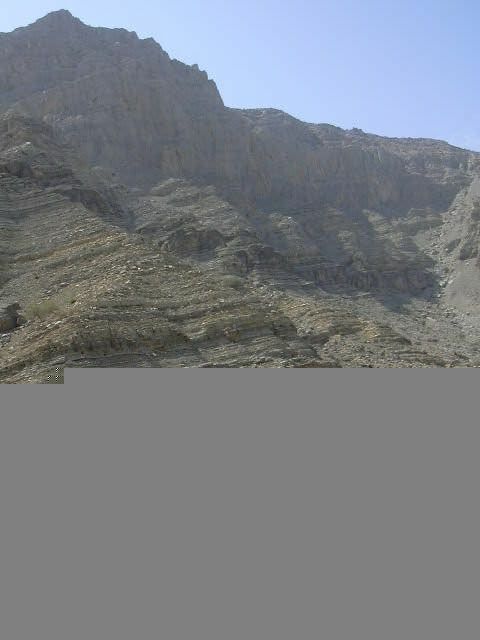 The entire structure is constructed in the same manner as houses and mosques found elsewhere in the Musandam region. 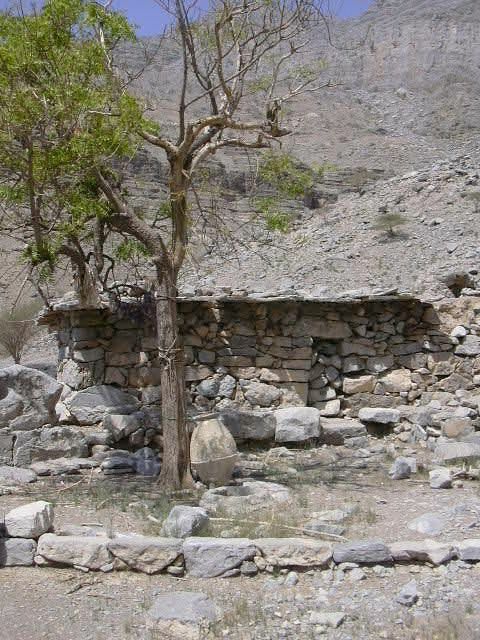 That is, the roof is supported by a carefully constructed set of wooden poles laid across the top of the yanz walls. 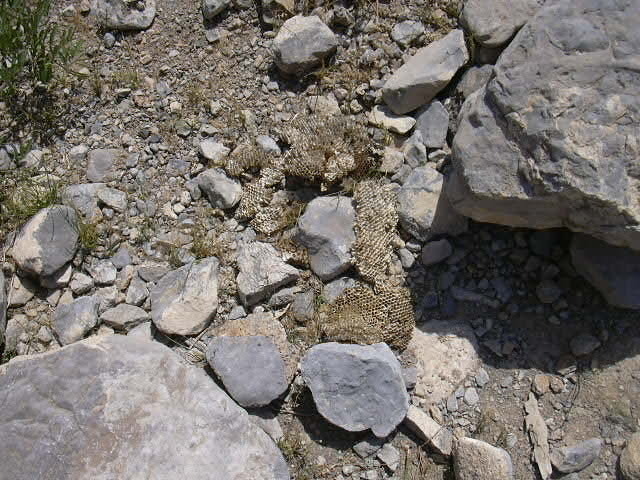 On top of the poles is a woven mesh of palm leaves covered with fine gravel. 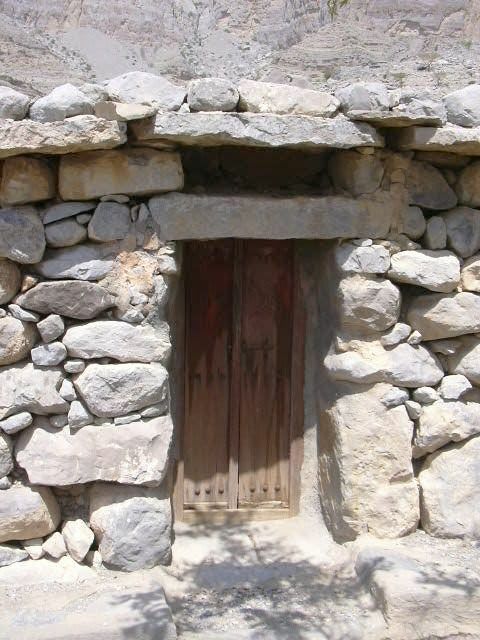 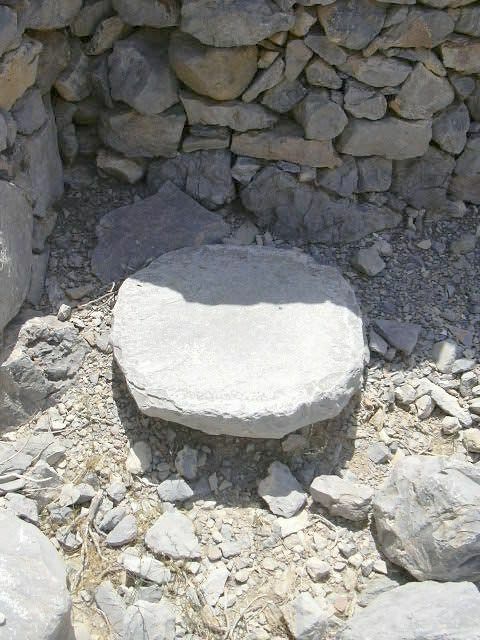 Stones are used around the edges, with large flat stones overhanging the walls by several centimeters so that rainwater is directed away from the yanz' walls and foundation. 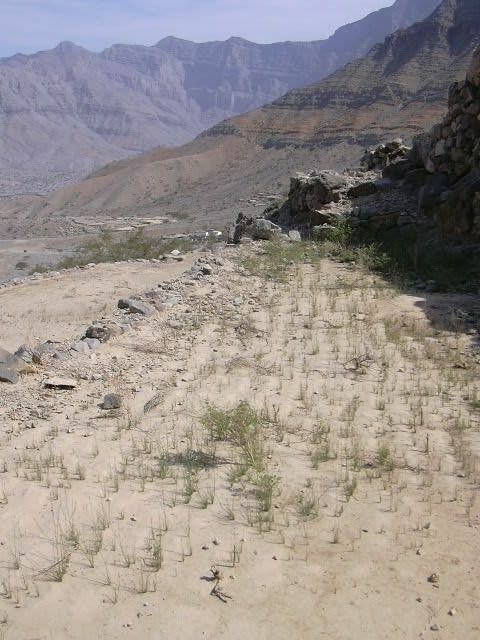 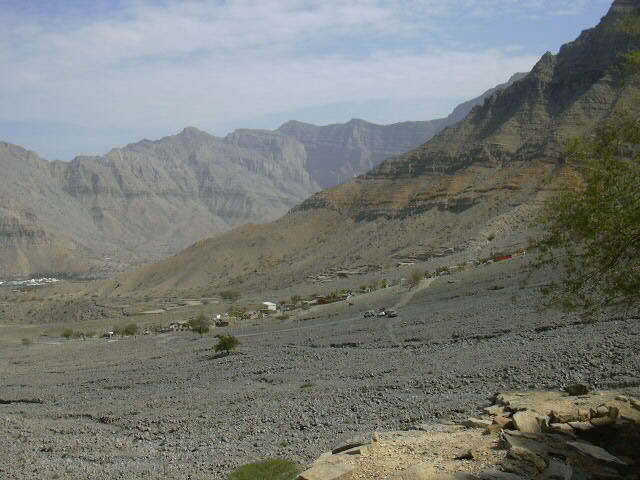 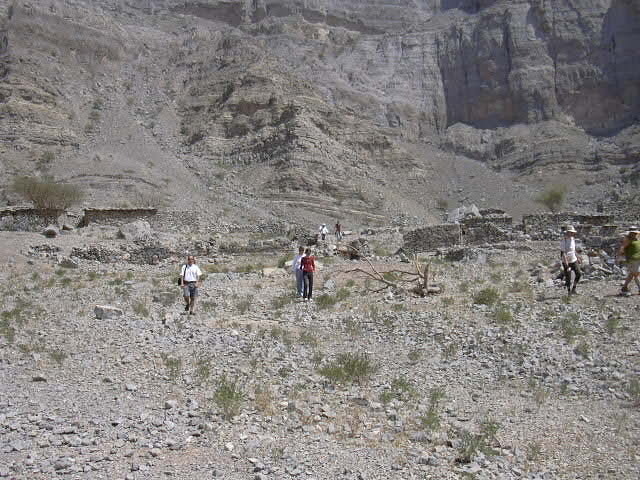 Across the wade bed and at the end of the wadi is the abandoned settlement at Sili. 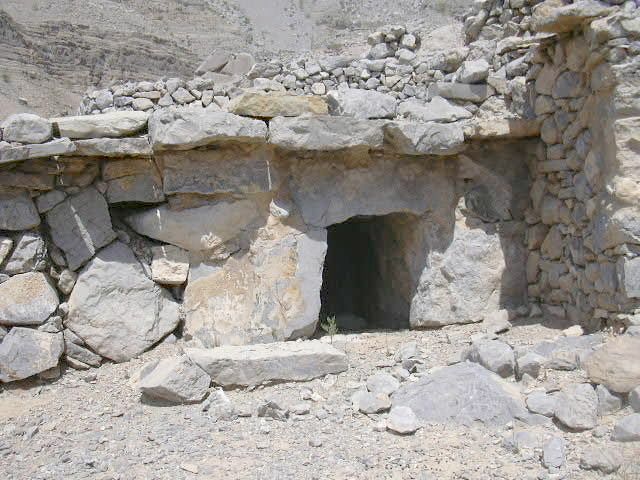 Evidence suggests individuals were living in the community up until a generation ago -- one man we spoke with estimated people moved out 20 or25 years ago. 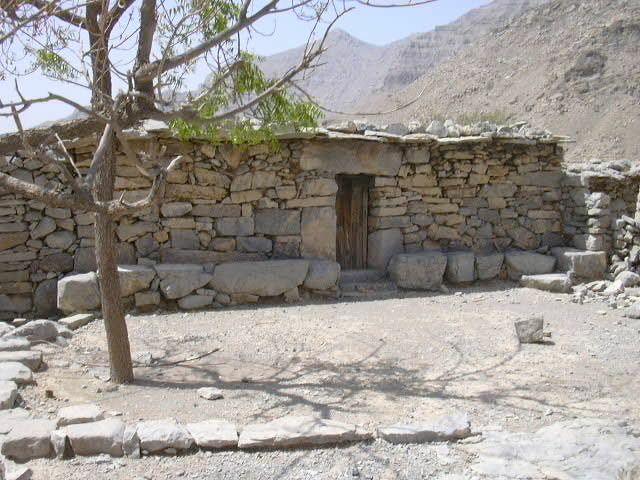 The exodus from the community would correspond with the construction of new housing, complete with municipal water supply, sewers, schools and electricity, constructed with the first oil revenues. 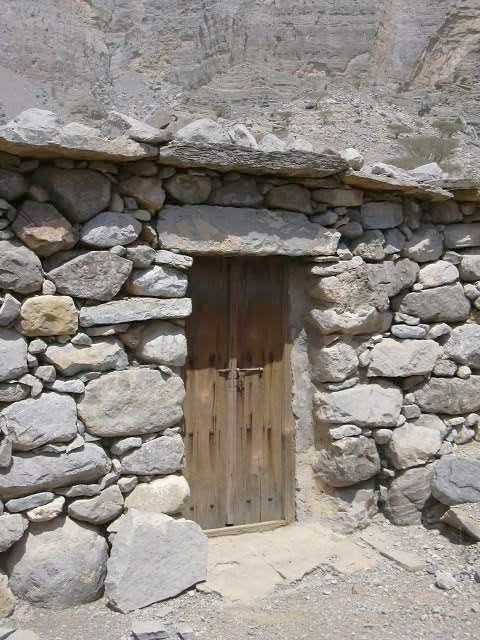 At least two of the original houses at Sili have been renovated in the past two years, evidence that families are returning to the community, if only for weekends. 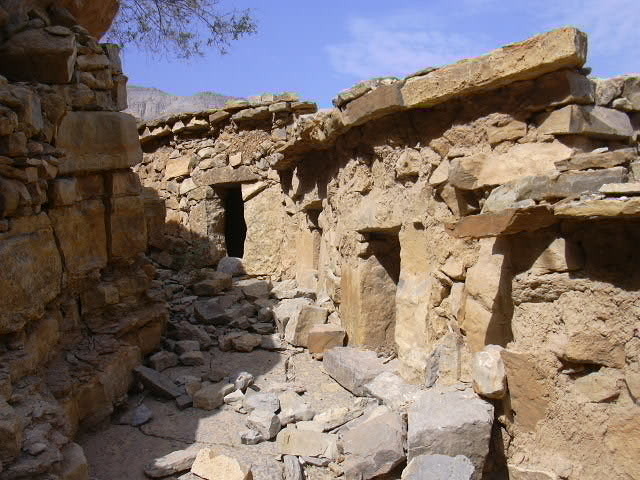 Many of the doors of the houses are locked and many of the courtyards appear to have been abandoned only recently. 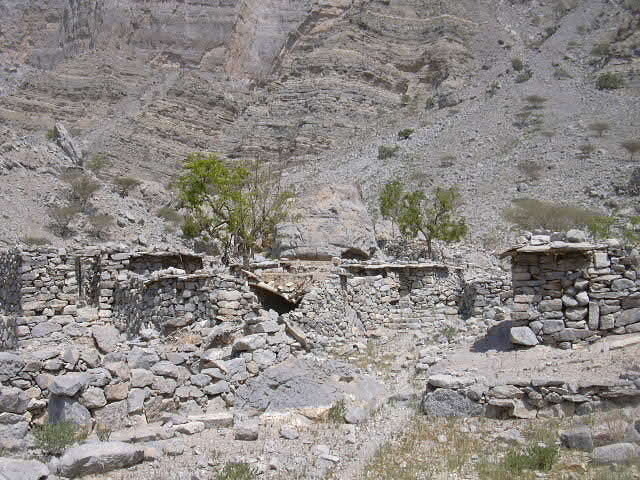 Unfortunately a few of the structures are showing signs of neglect.